John Maynard Keynes, whose brilliance as a practicing investor matched his brilliance in thought, wrote a letter to a business associate, F. C. Scott, on August 15, 1934 that says it all: “As time goes on, I get more and more convinced that the right method in investment is to put fairly large sums into enterprises which one thinks one knows something about and in the management of which one thoroughly believes. It is a mistake to think that one limits one’s risk by spreading too much between enterprises about which one knows little and has no reason for special confidence. . . .
Wasik reports that Keynes died in 1946 with a net worth of about £500,000, equivalent to about $36 million today, not including his extensive collection of artwork and rare manuscripts. What is most remarkable about Keynes is that he was a self-taught Buffett-style concentrated value investor before Buffett. He wrote the letter to Scott around the time that Benjamin Graham published Security Analysis, but there is little evidence that he read it. Like Graham, Keynes had to contend with perhaps the most difficult period in modern history to be an investor, one that encompassed the second World War, the 1929 stock market crash, and the Great Depression. Throughout that 18-year period, while the UK stock market fell 15 percent, and the US market fell 21 percent, the discretionary portfolio he managed on behalf of King’s College, Cambridge grew fivefold. The charts below, which begin in 1926 and continue through to April 2014, show how unusually difficult the period was. 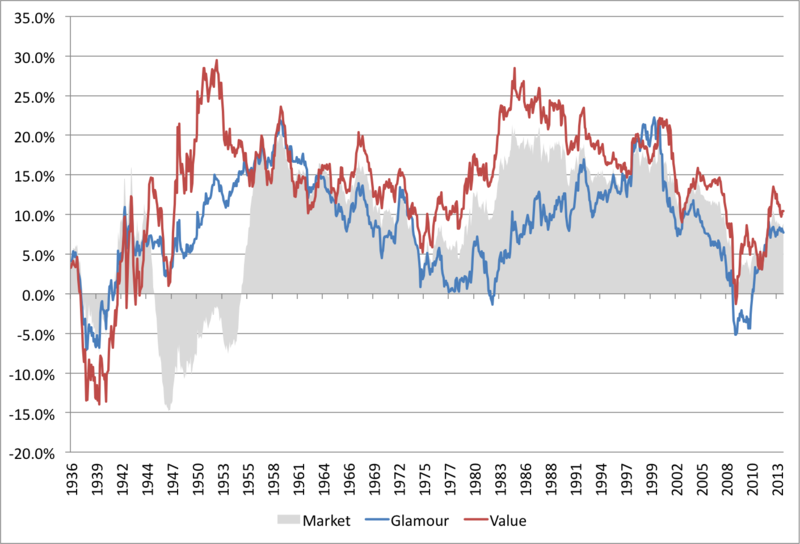 The charts use Fama and French backtests of the book value-to-market equity (the inverse of the PB ratio) data from 1926 to 2014. As at April 2014, there were 3,175 firms in the sample. 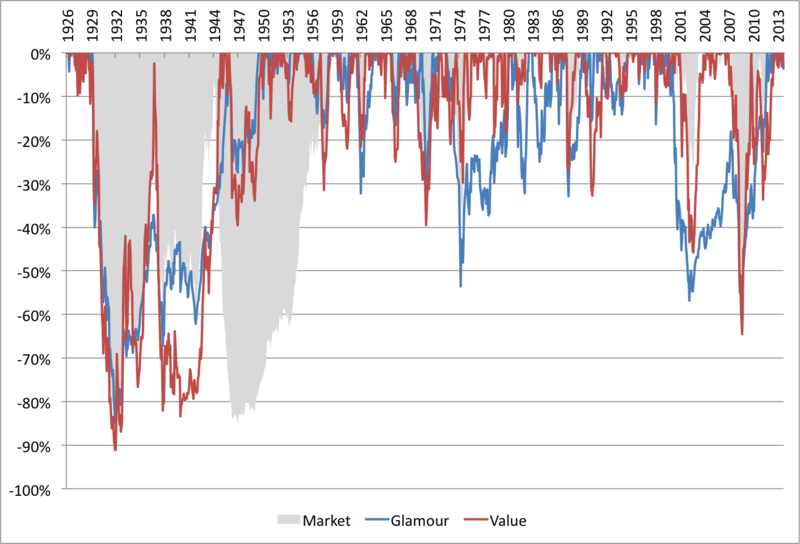 The value decile contained the 459 stocks with the highest earnings yield, and the glamour decile contained the 404 stocks with the lowest earnings yield. 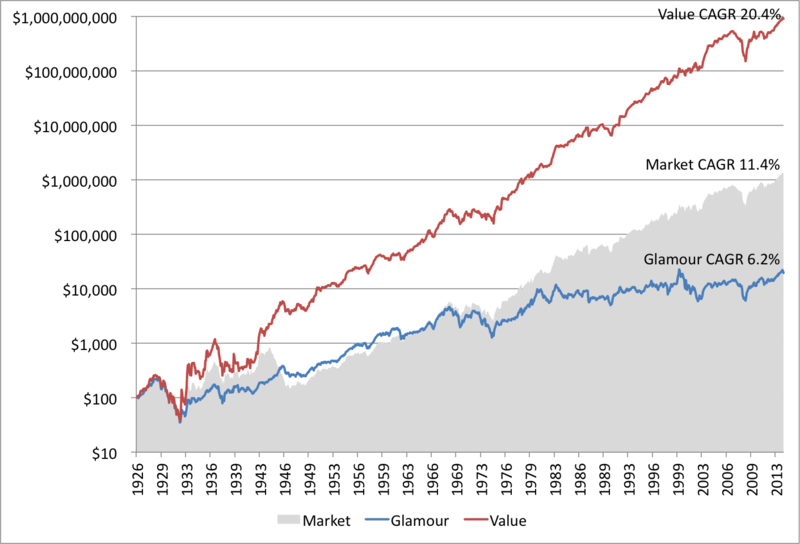 The average size of the glamour stocks is $7.48 billion and the value stocks $2.54 billion. (Note that the average is heavily skewed up by the biggest companies. For context, the 3,175th company has a market capitalization today of approximately $400 million, which is smaller than the average, but still investable for most investors). Portfolios are formed on June 30 and rebalanced annually. The 1938 crash also hit Keynes hard. At the end of the year, his King’s College discretionary portfolio was down 40.1 percent. 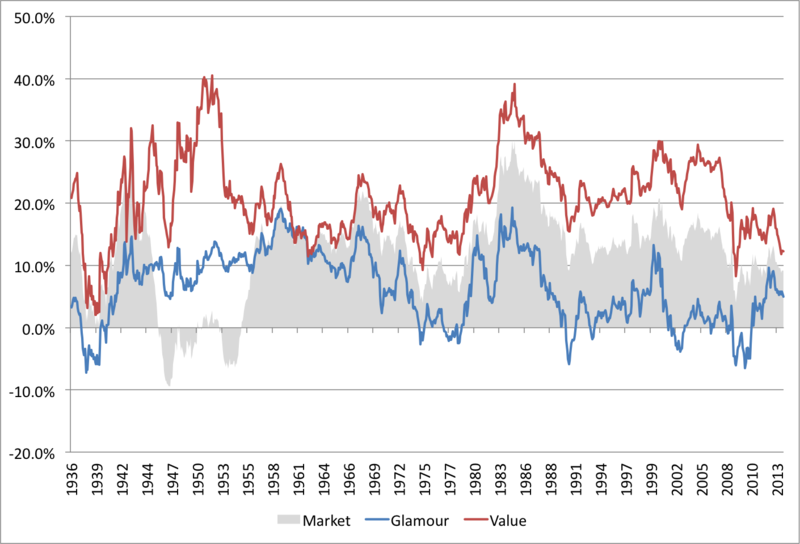 As these charts demonstrate, volatility and drawdowns are part and parcel of investing, but, over the long term, value has comprehensively beaten out the market and glamour stocks. 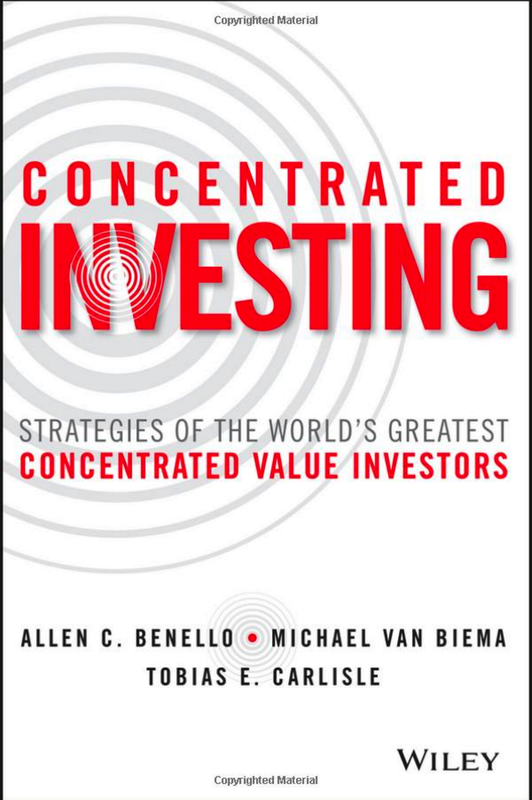 To generate the extraordinary returns of the value deciles, it was necessary to remain fully invested in those value stocks through thick and thin. 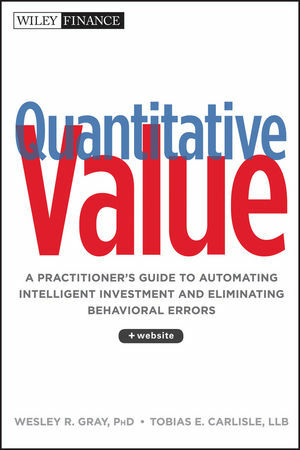 My firm, Eyquem, offers low cost, fee-only managed accounts that implement a systematic deep value investment strategy. Please contact me by email at toby@eyquem.net or call me by telephone on (646) 535 8629 to learn more.